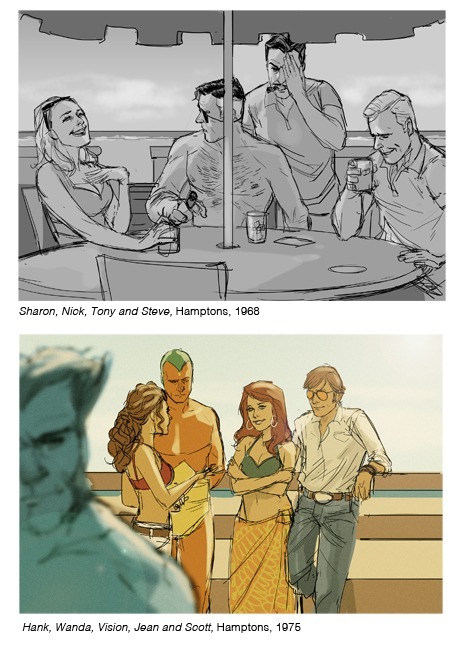 These classy illustrations depict familiar Marvel characters in Mad Men-like settings. 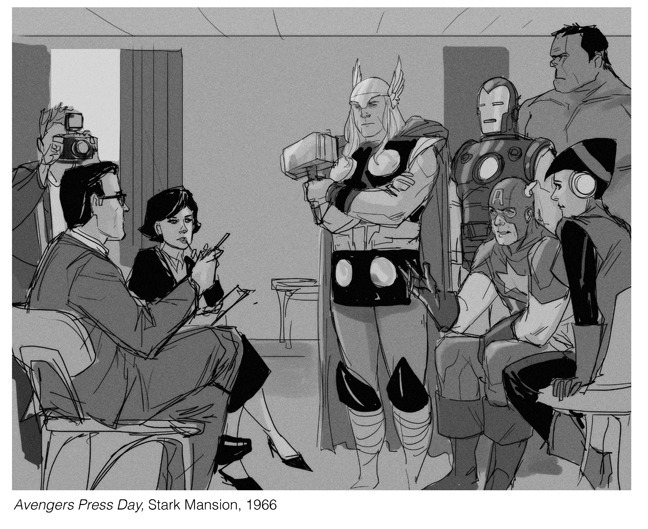 What happens when you combine the style and sensibilities of the 1950s with some of your favorite Marvel superheroes? 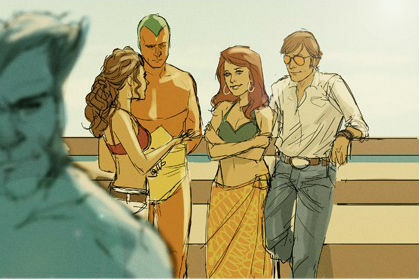 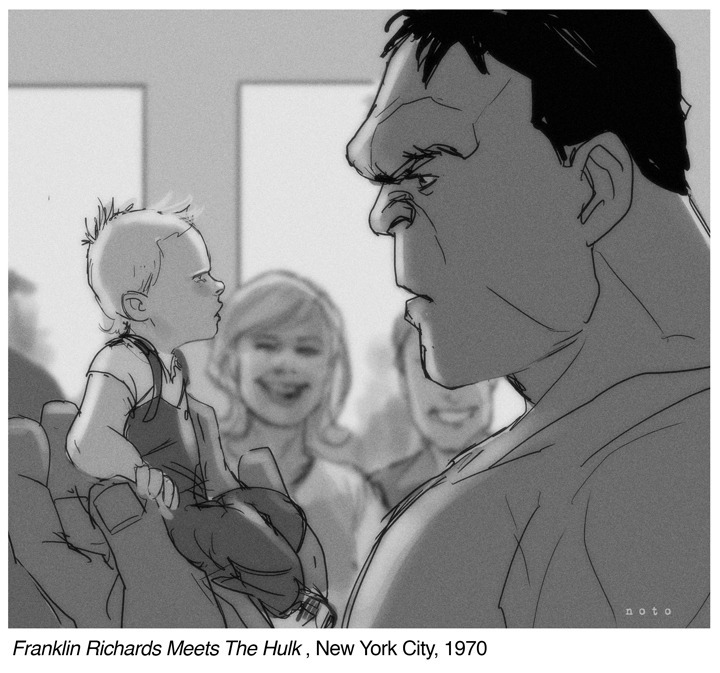 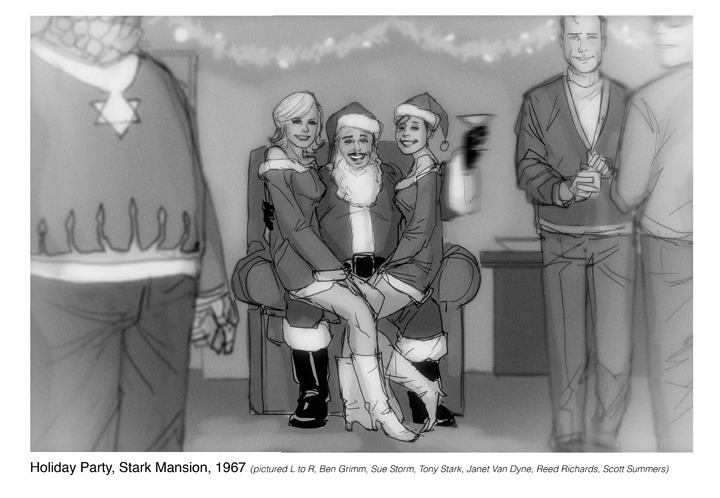 You might get something a lot like Phil Noto's stirring Mad Men-esque collection, The Hank Pym Photo Archives. 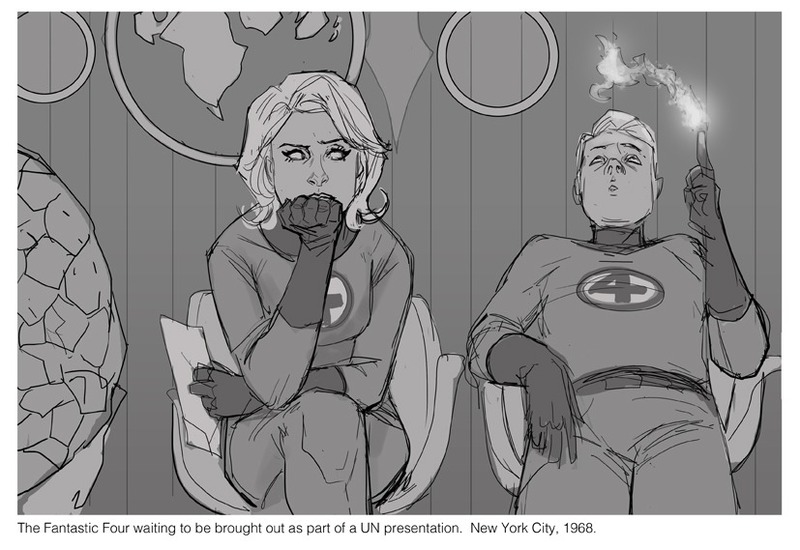 Noto has ingeniously crafted scenes with a variety of familiar Marvel faces, imbuing each piece with a peculiar charm that one might see during those classy yet flawed years. 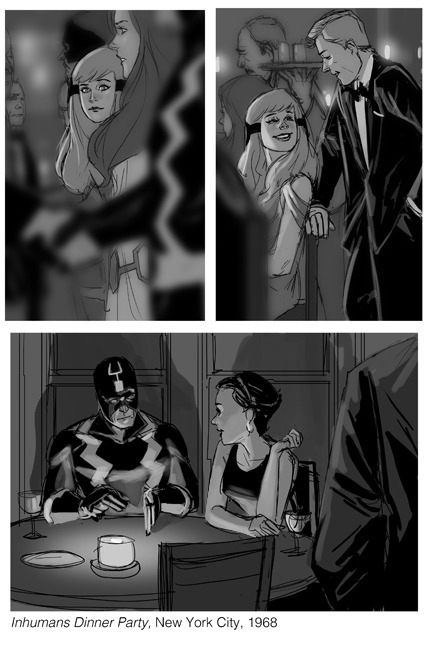 You may have noticed Phil's immediately recognizable work from recent series like Black Widow, and his impeccable linework is evident across these images as well. 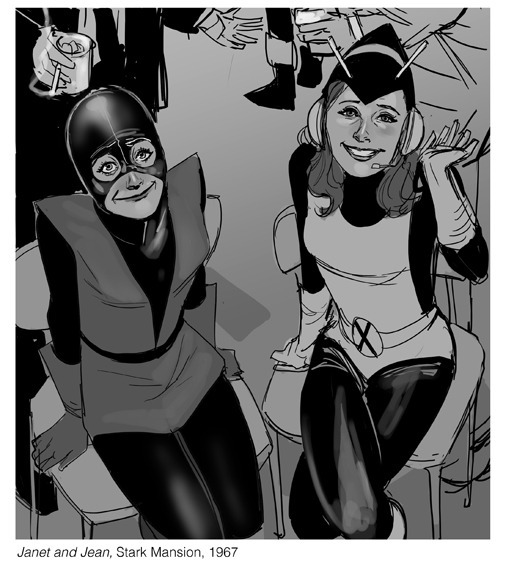 In February, he's going to be creating 20 variant covers that will look similar to these for several of Marvel's properties. 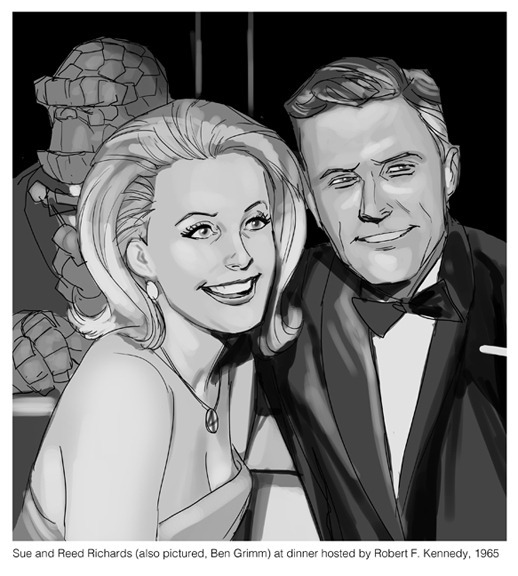 In the meantime, however, enjoy these gorgeous sketches and check out Phil's Tumblr for plenty of other sketches, many of which span an entire universe of geekdom, including Doctor Who and more.